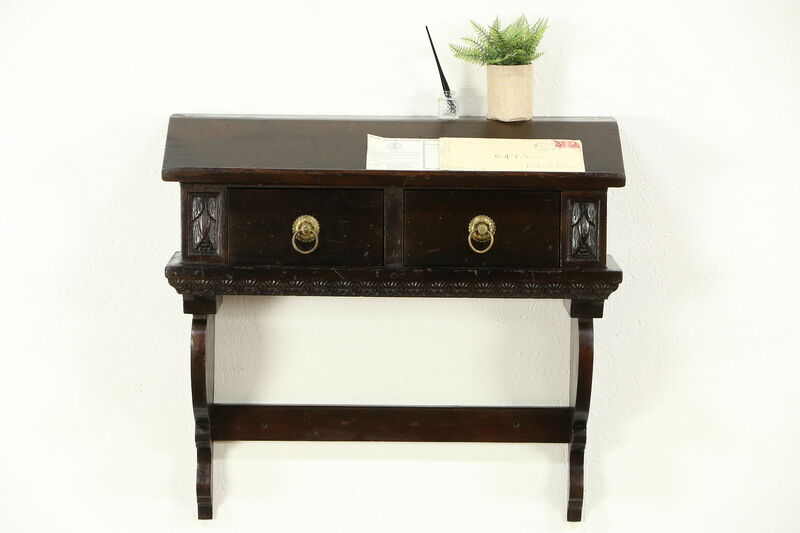 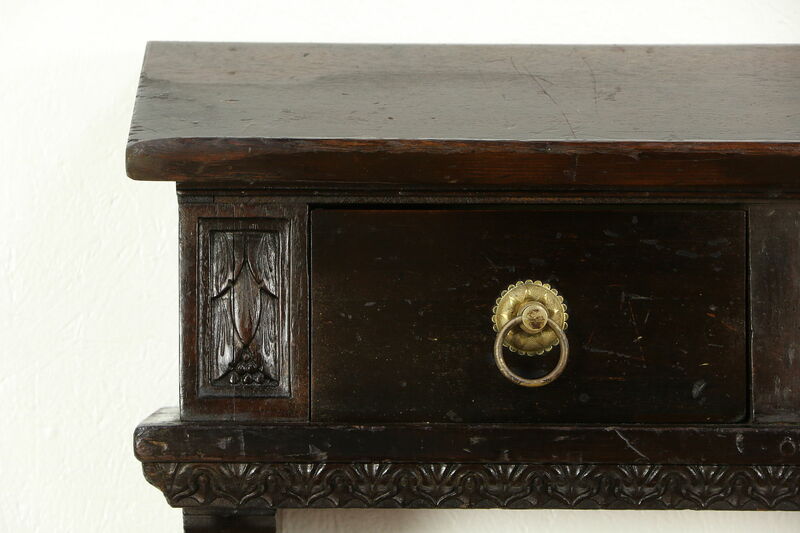 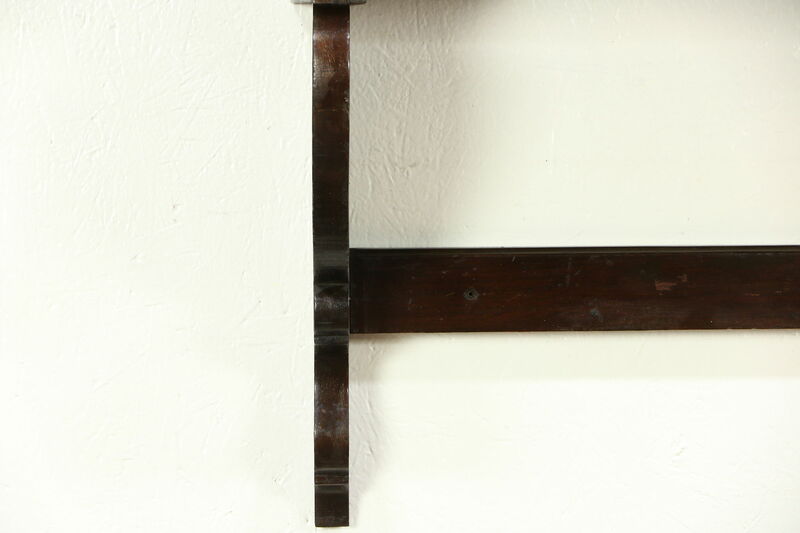 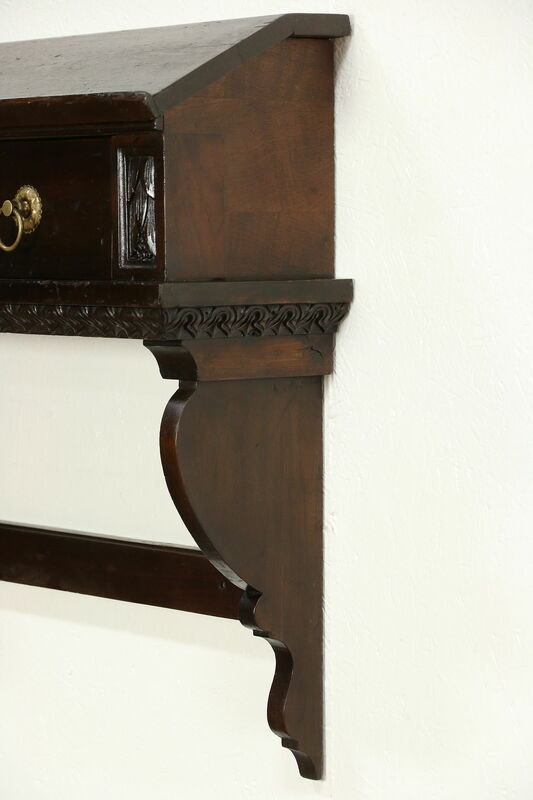 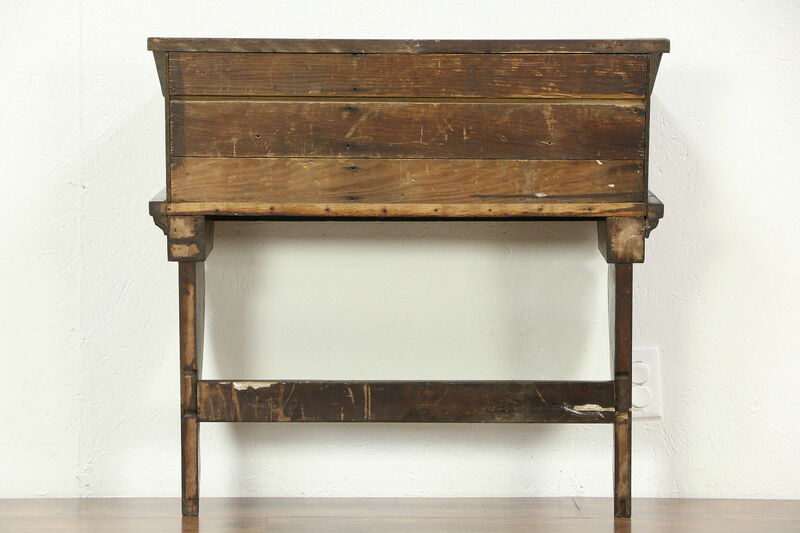 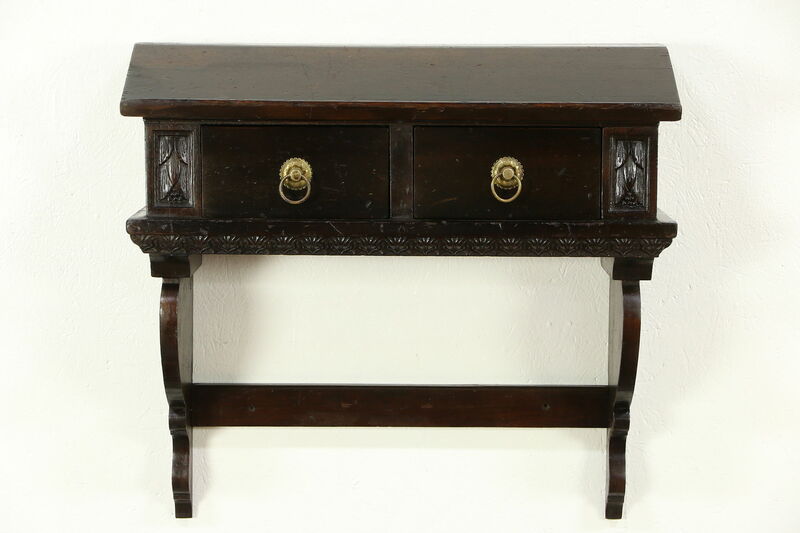 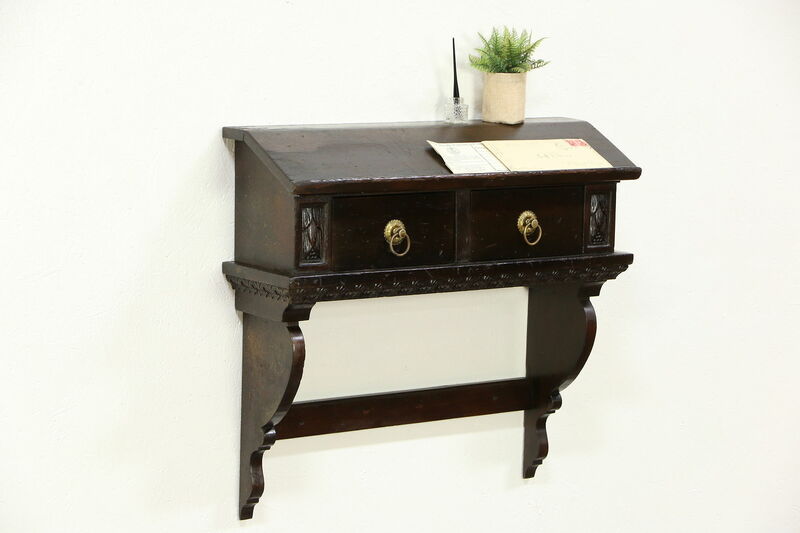 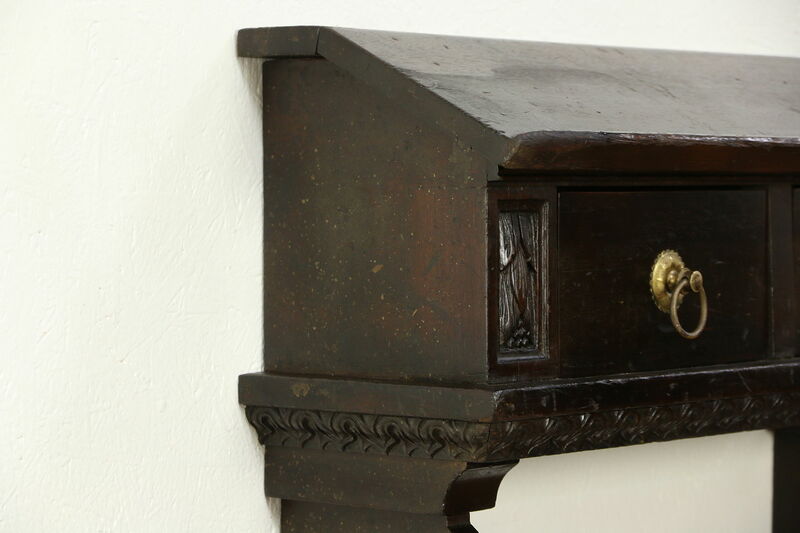 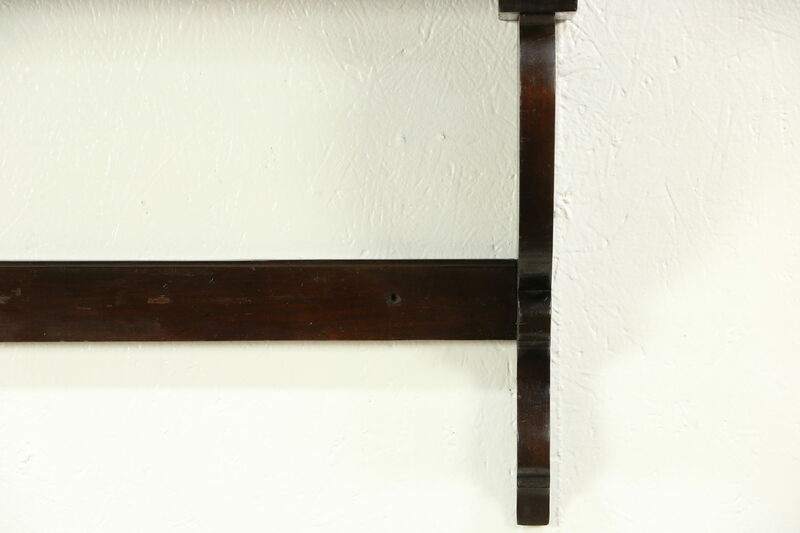 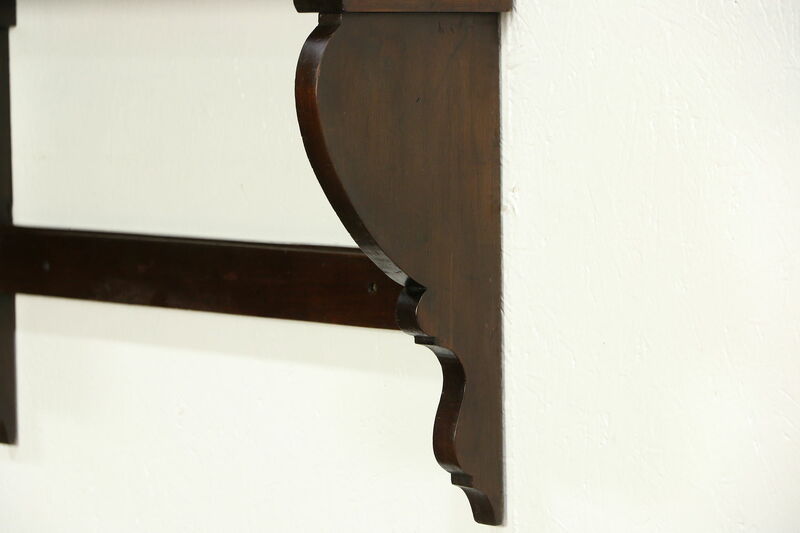 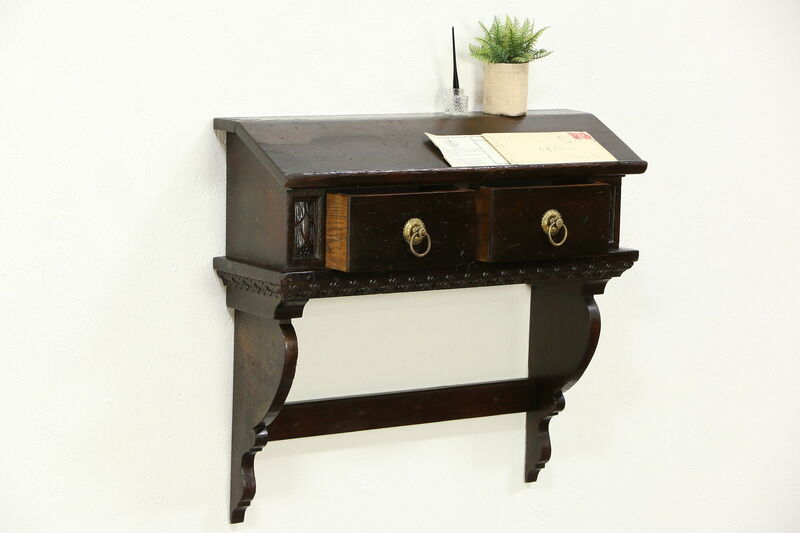 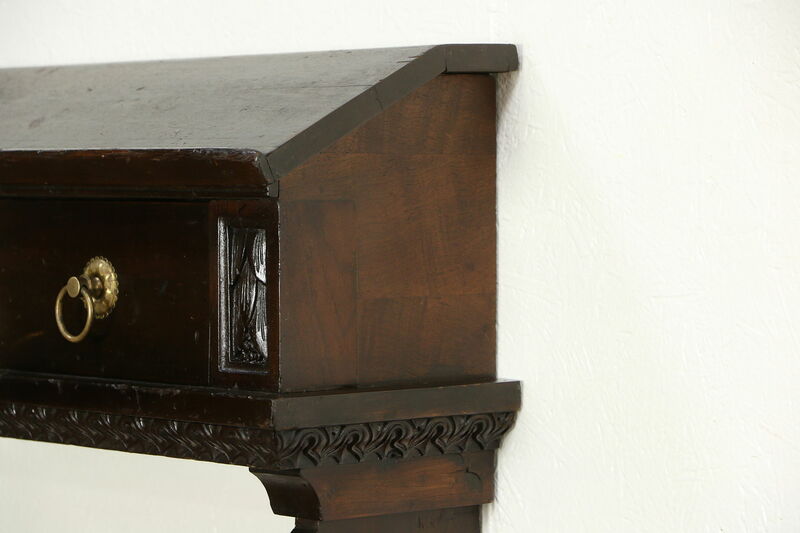 A wall mount desk, guest register or book shelf was hand carved of solid walnut about 1890 in Holland. 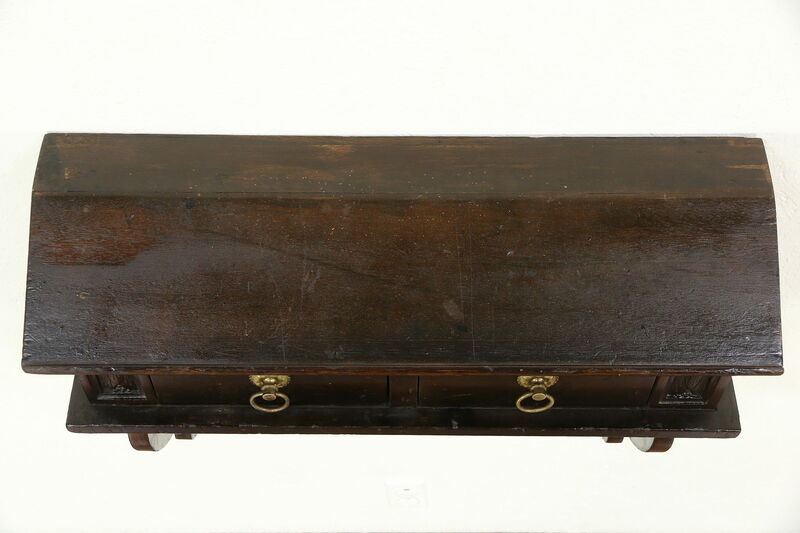 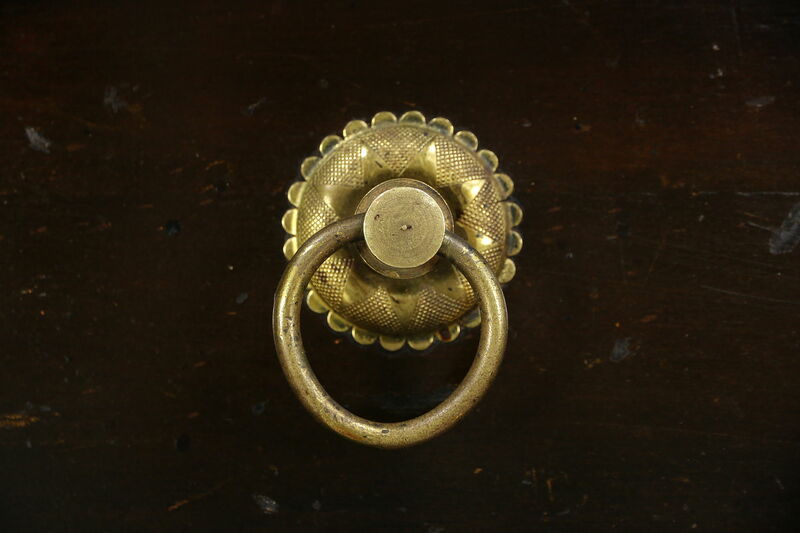 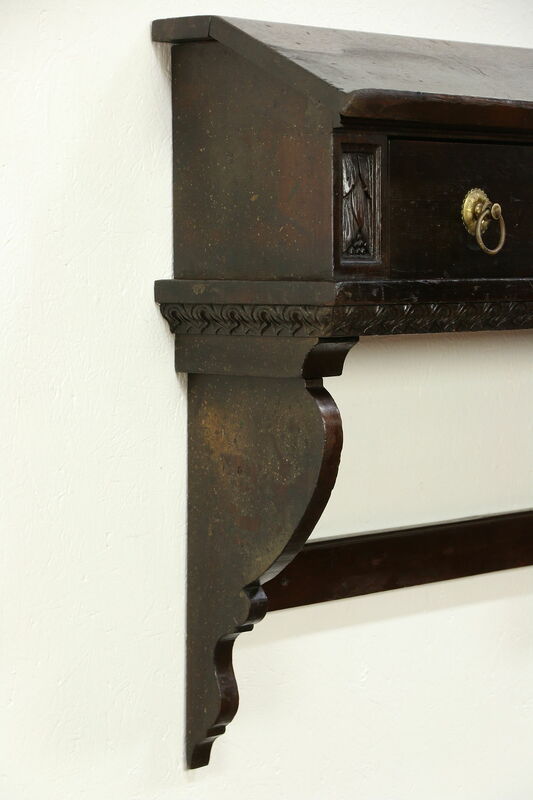 The original finish is in good condition on this very well worn European furniture with lots of antique patina. 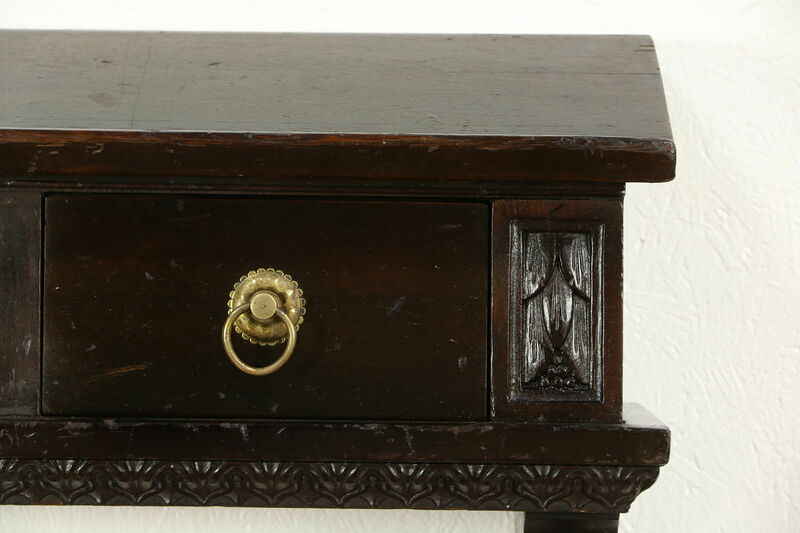 Drawers are rebuilt. 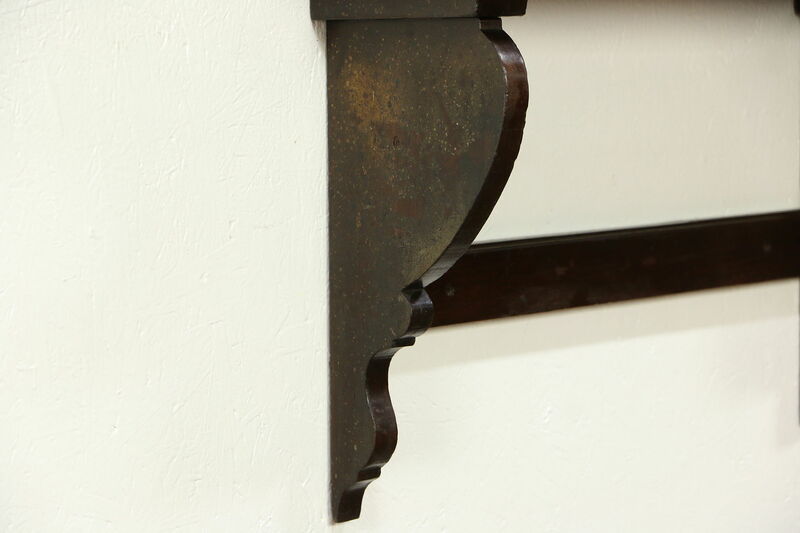 Size is 31" wide, 10" deep and 28" tall.